This is hardly a recipe, just a combination of delicious ingredients which are somehow more gorgeously decadent when combined. Allow one fig per person. Cut them into quarters, or if very large, cut into six pieces. Bring some thin slices of creamy-edged prosciutto to room temperature. 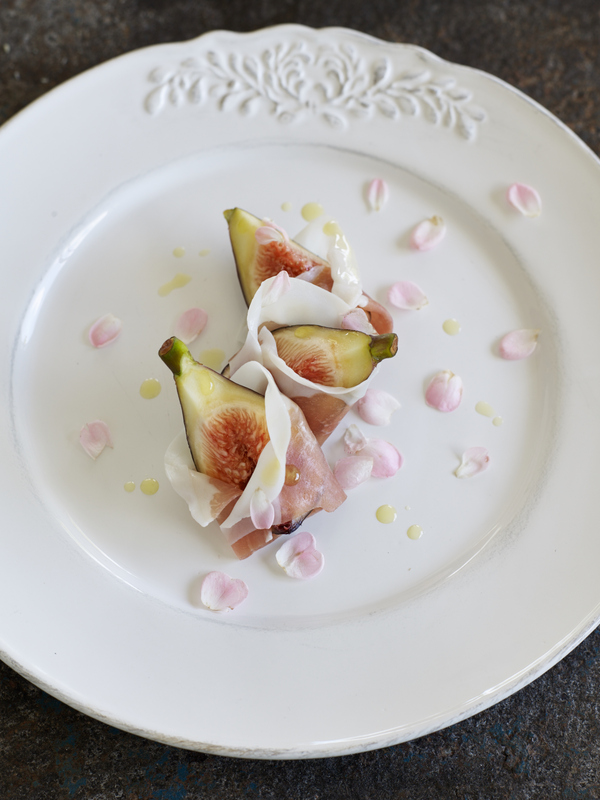 Cradle figs in prosciutto – don’t hide the beauty of the figs – and arrange on plates. Scatter with the tiniest edible pink flower petals that money can buy and dot with the finest nuttiest extra virgin olive oil, or lemon-infused olive oil, available on the plant. That’s all. Oh, pink Champagne optional! A really nice couple, these two, and they deserve all the success that can possibly come their way. Ha! Writing that, I know I’m transparent. 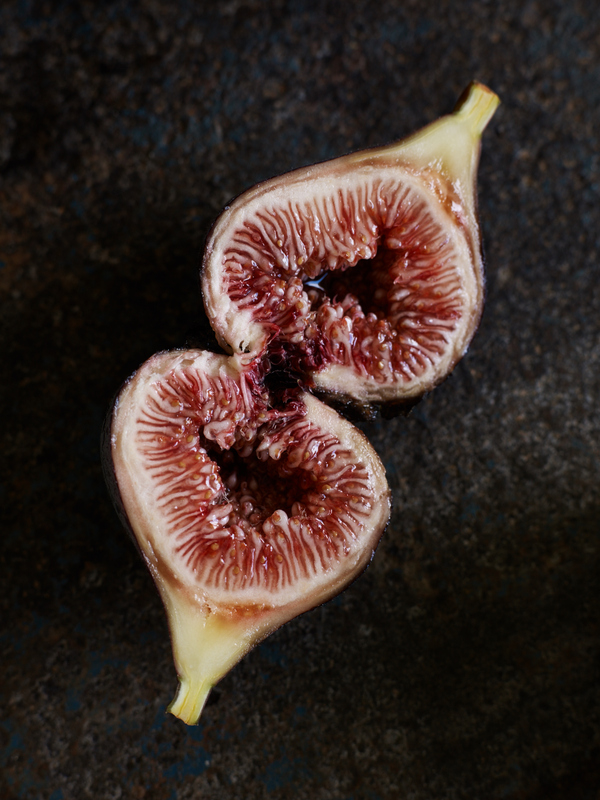 Yes, I’m hoping they’ll send me a truckload of their gorgeous figs every year come harvest time!